This begins the first post of Taiwan 2014 trip. 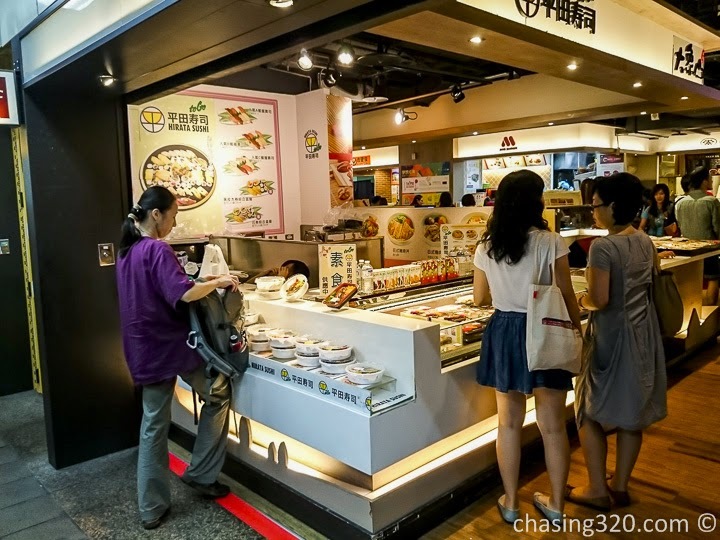 This would be our second trip to Taiwan having visited in 2012. This was to be a free and easy, unplanned, ad hoc trip to reduce the stress of a structured self imposed tour. We disembarked the plane at 3pm after a four and a half hour flight. The crowds at immigration were long. Many did not fill in there arrival forms and took awhile to fill in the forms at the counter. We were here for about 40 minutes. The form is simple with only a few fields to complete. 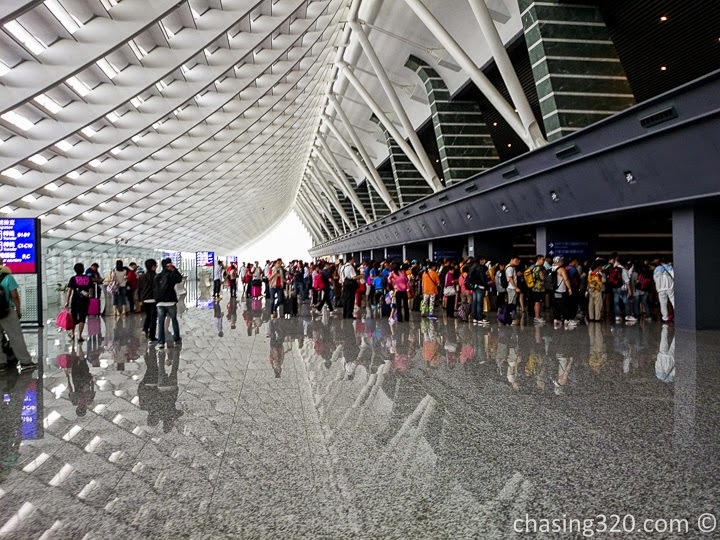 Heading out into the arrival hall, a lot of people look for internet. There is a small crowd at the counters for mobile packages and data plans. That post is linked here. We headed downstairs to buy bus tickets to town. 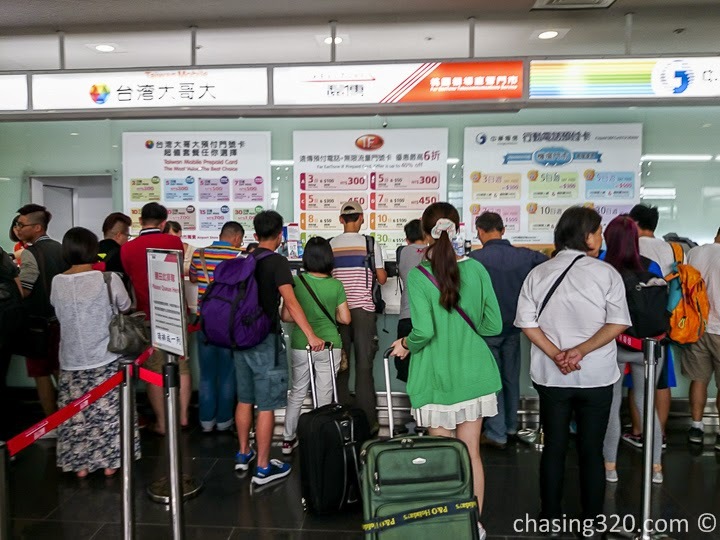 There are two methods to go into the city of Taipei. One by bus and another by HSR. By bus, it cost 90 TWD but the bus ride stops at many spots and take a long time (90 minutes). 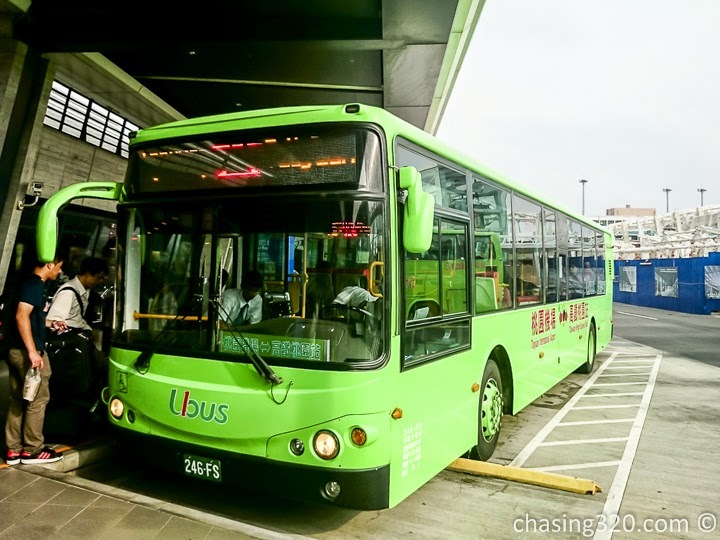 The faster way is to take the U-Bus from the airport to Taoyuan Station at Taiwan High Speed Rail some 15 minutes away. 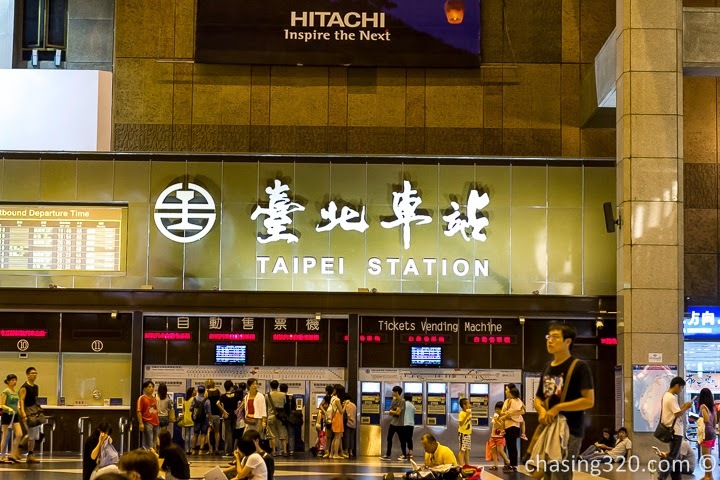 Then take the high speed rail into Taipei , stopping at Taipei Main Station. This bus ride cost 30 NTD and the HSR tickets cost 175 NTD for the convenience. The bus has a high frequency so do not be too worried if you miss this one. At times, the bus will be packed but the bus driver is very helpful to assist. About 20 minutes later, arrival to Taoyuan. It was time to buy tickets and instead of lining up, you can opt to use the self service machines. There is an English option. Others may opt for the line. There was a machine next to the ticket vending machine that allowed you to change your coins for bank notes. Go thru the gantry and down into the tracks. There is ample space on the trains. 20 minutes later, you are in Taipei. The train travels at a slightly slower pace now that it is in the city. This is Taipei Main Station. A huge complex. Buying tickets for TRA is a bit tricky especially if you do not know how to read Chinese, like me. 1) Click on “Time Table” to check and choose date, train numbers, time departure from X to Y and Y to Z. Write these down on paper. 2) Click on “Online Booking” , click on order tickets using train number, fill up form. You will get Booking Codes. 3) Click on “Online Payment”, If you want English, click on English at top row. Read instruction. After reading, click on check box to show that you understand condition. Then click on “Start to buy tickets”. fill up Passport number and booking codes as given earlier . Key credit card detail. It was time to collect your tickets. We purchased our tickets 2 weeks before when they were released online. The line looks long but it is fast moving with 5 counters open. After collecting the tickets to Hualien, it was already 6pm. The train was to depart at 730pm so that afforded some time for dinner. Take a walk around and you can find tons of food to eat. There are food courts too. Please buy some bento sets here for the train ride. A Mos Burger and some ramen would do just fine. I did not know what to eat really. So a ramen was a safe bet. The ramen did taste a bit bland and required some salt. MOS burgers are known to be small and you’d have to get two or three or four of these if your appetite is huge. Time for the next leg in the journey. 08/16/14, 7:27 PM UTC+8. It was already 730pm. The train ride was uneventful. Just a straight ride thru a few stops to reach Hualien. Arriving at 2140, it would mark a travel of 12 hours since we set out from our house in Kuala Lumpur. As a bike enthusiast, I could not help but take photos of these bikers dismantling their bikes after a day’s cycle. How do I know? All of them had tan lines. Andy picked us up and off to the homestay. A long journey and all I wanted was to take a shower.